The DHL Stormers will know on Tuesday if they will have their powerful and explosive Springbok loosehead Steven Kitshoff on hand to spearhead their scrumming assault on the Vodacom Bulls in Saturday’s Super Rugby opener at Loftus. Kitshoff started the season well in the early stages of the pre-season match against the Boland Cavaliers last Friday but was then forced to leave the field with a hamstring injury. Coach Robbie Fleck admitted afterwards that Kitshoff’s condition was a concern, and it was assumed he would miss the Loftus clash. 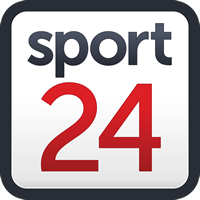 However, when he was asked how the Stormers would fare without Kitshoff in the vanguard of their forward challenge, forward coach Russell Winter said that the Cape side had not given up hope of Kitshoff playing on Saturday. “We are hoping that Kitsie will pull through,” said Winter. “I have to admit that at the moment it doesn’t look like Friday’s game was a good thing for Kitsie with his injury. But he is a tough boy and no-one does rehab better than Kitsie does. If he is out this week I can tell you it won’t be for long. He is already back in the gym. If you look at him he always seems to have a weight in his hand. Vermaak looks set to wear the No 1 jersey if Kitshoff is not pronounced fit on Tuesday, and then there is also the versatile Corne Fourie, the former Lions player who has been lured to Cape Town as the Stormers’ only off-season buy to fill the void left by the experienced JC Janse van Rensburg, who has gone back overseas. The mobile and versatile Fourie has impressed both his new coaches and his new teammates with his contributions in the pre-season and will provide capable back-up should Vermaak start at Loftus. However, it is Vermaak that Winter appears to have a particular soft spot for. What Winter is gearing his charges up for this week is a strong Bulls opening salvo. Last year the Bulls won at Loftus primarily because they surprised the Stormers with their intensity and strength at the early scrums. Ironically it was the exact opposite at Newlands a few weeks later. On that occasion it was the Stormers big men who got into the game early and they effectively won the game for their team in the opening 20 minutes. Winter is not reading too much into what happened when the respective packs met at Cape Town Stadium on Super Hero Sunday. The Stormers fielded what was largely regarded as a second string pack in that game, and while the Bulls were closer to full strength, Winter didn’t feel they gave too much away ahead of their more important rematch with the Cape team a fortnight later. What Super Hero Sunday did do was remind the Stormers of the ability of the massive Lood de Jager, who would surely have been the regular Springbok No 5 lock last year had it not been for an injury that curtailed his season. “Lood is a great player and his injury last year was unfortunate as he was having a great season,” said Winter.